Attitude had the most liked content! I would really suggest posting this in the correct forum. http://forums.x-pilot.com/forums/forum/228-tbm-900/ With the TBM the way I have my throttle set is the button method that I mentioned above. Once you click it then you can bring the lever back into beta and then reverse then click it again to climb back above the gate to flight idle and above. The curve method does nothing for me with the TBM. Hope that helps! Like I said, try reposting this If my tip doesn't work... Cheers! I don't think the curves work with the button. Try removing the button and trying the curves alone. Just be careful not to pull them into beta in the air as it does not like it. If that is too sensitive then try the button all by itself, no curves. Here are two ways I set it up on my throttle or joystick: If you have a larger separate throttle you can set the detents for beta and reverse in the throttle axis response curves menu. On a joystick or throttle you can set "toggle thrust reversers" to almost any button. This will throw the throttle into reverse rather abruptly so be prepared! Pocket Rocket v1.0.1 Update Released! Marco, Thank you for your kind words & support! I am so glad you are enjoying the Pocket Rocket. I have found myself falling more and more in love with it everyday. Sounds...Oh the wonderful sounds Awesome picture! @Bourrinopathe Thank you for your sharp eye. Both bugs are now logged and will be worked on. Cheers! For those pesky Pocket Rocket screens that seem to never stay clean I present you with "No Smudges!" Guaranteed to leave your glass displays as clean as shimmering mermaid. 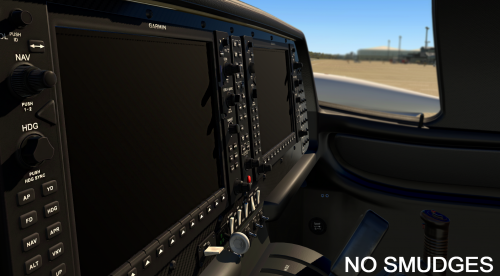 Installation: This download contains new G1000 smudgeless textures. It removes the fingerprints, hand oil and dust from the G1000 screens. Backup your G1kscreenalph.png & G1kscreenalph_NML.png which are located inside your Pocket Rocket's object folder... Once you have those two files saved somewhere else drag and drop the two replacement textures from the zip into the aircraft's object folder and overwrite the old files If it asks you. Thank you for your sharp eye! I will be working on updating these as soon as possible. Cheers! 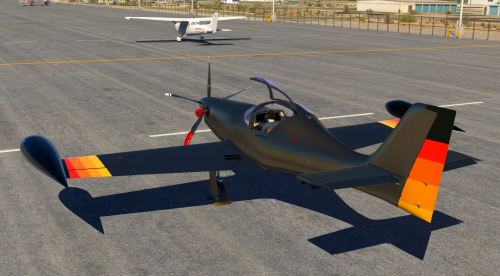 Mustang livery, inspired by my beautiful flights at dusk. Simple metallic paint with vinyl designs. Updated interior featuring Carbon fiber panel, wood grain stick handle and proper normal maps. I hope you enjoy!!! We are so glad you are enjoying it! Thank you for the support! Complete Paint Kit for the Torquesim Pocket Rocket Download both the manual and Paint kit via the links below: --------------------------------------------------------------------------------------------------------------------------------------------------------- Paint Kit Manual <-----Give it a quick read! We give you some important things to consider with this paint kit. Paint Kit 1.0 --------------------------------------------------------------------------------------------------------------------------------------------------------- If there are any features that you would like added to the paint kit let me know. I do plan on adding a weathered version in a future update. 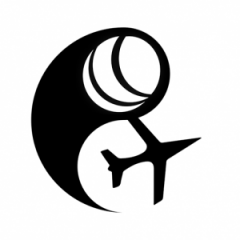 Get the aircraft here http://www.x-aviation.com/catalog/product_info.php/pocket-rocket-p-161 Happy painting!